Barbara worked with us to help us with our two rescue dogs, a boxer and a boxer mix. Chopper and Maggie. We really liked her. She has a very nice, friendly, calm demeanor. Chopper and Maggie liked her too! One of the issues we were having is that we could not answer the front door without them barking and jumping like crazy. Frankly it had gotten to the point that unless it was friends or family I wouldn't even open the door at times. They are both still learning but doing well in their training of the front door "no go zone". What a relief. Barbara spoke to to us at the first of our meeting without the dogs present explaining the program and the philosophy she uses. It was pretty easy to understand but you don't know what you don't know, so the information was very much appreciated. We are working on the leash training and I am personally feeling more like I am walking my dogs instead of the other way around. Also they are learning to wait patiently for us to exit or enter a door until they are invited to follow behind us. We've only been at this for about 4 days but I can honestly say there is much improvement already. Another great thing, lifetime visits included if you need their help, or if you just need to talk via email or telephone. Thank you very much to Barbara and Bark Busters! No need for a visit... quite the opposite really. I'm not sure how well you remember Jaxon (the stubborn Thai Ridgeback.) If you recall, he did not take well to the "BAH." I know it's been 2 years since we last did the in home training with you, but I can't help but think about the conversation you had with us during your first visit. You shared how some clients never contact you through the process so you never know how things turned out. With that said, Jaxon is a completely different dog! He has accepted his place in our family. We use the "BAH" to redirect his attention nearly every single day. He sits before he goes out side. He sits before he comes inside. He stays when told to stay and will continue to stay until we release him with a fun "FREE." He is allowed to be inside with us while we eat dinner as we tell him to go lay down, and guess what, he goes and lays on his bed. If he doesn't with the first command, a quick "BAH" and he is on his way... reluctantly mind you but still listens. He does not bolt out the front door and terrorize the neighborhood and when the back gate is open he doesn't bother to go near it. The best part of all of this Barbara... our kids are no longer scared of him and interact with a dog like kids should interact with a dog. Jaxon still pushes the envelope when our youngest is feeding him. I will hear "Jaxon sit. Jaxon sit." At this point Jaxon normally looks at me like do I really have to listen to this little kid. Our youngest will belt out a "BAH" and I swear if dogs could roll their eyes!!! yet he sits and awaits the free command before enjoying his feeding time. While the training for the dog was great, the training your provided the humans was even better. We will have many more years of enjoyment with Jaxon in our lives... thanks to you and Bark Busters. In our eyes, this was a real and true success story. I learned a lot and lots of written material to learn from and back up what Barbara showed me. It will be fun working with Titan! Barbara was great. She clearly explained the program and addressed our issues with Charlotte. She demonstrated how to communicate the commands, correct any unwanted behavior, and lavishly praise compliance. My husband and I both worked with Charlotte and saw marked improvements even before Barbara left. We practiced with Charlotte again that evening and this morning. The change is remarkable, beyond what I would have thought possible. Very professional, explained everything to us, answered all our questions. We were wonderfully surprised how our little Pomchi, Jax responded to the lessons Barbara helped us with. Our little "barker" is quickly responding to our commands and I have to say it has been quieter around here. We are looking forward to learning more about how to become better dog parents...it's as much about training us as him. Thank you so very much. 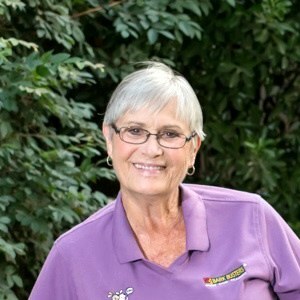 Barbara was very thorough and informed with the information about Bark Busters, and worked patiently with me and my dog. Barbara was very clear in explaining dog behavior and the need to communicate with dogs their way rather than the human way. She explained all the training techniques before we tried them with Jack. She reminded us gently when we were allowing Jack to do things he shouldn't, like jumping up and pawing. Our main reason for calling Bark Busters was that Jack chases our 8 year old granddaughter, and I am confident now that we will be able to resolve that problem. Barbara is absolutely amazing. We have a 13 week old Puggle puppy that LOVES to bite and nip. We all have scars to prove it. Barbara got here and Sloan responded so well to the BAH, it was amazing. My family and I can now enjoy spending time with our puppy instead of getting torn up from his razor sharp teeth. Just after only one session, the results are amazing. Thank you so much Barbara and can't wait until our next lesson. After just one session with Barbara my goof ball dog, Ziggy, has totally changed. Ziggy is a golden doodle puppy with jumping, digging, barking, chewing, and more undesirable issues. I couldn't believe, that after just one session with Barbara, that this uncontrollable puppy is now paying attention to my commands. Barbara gave me the tools necessary to control his undesirable behaviors without having to resort to crates, chain dog collars, yelling, etc. Her training methods are incredible and I highly recommend her. Barbara came all the way out to Roseville from Stockton to help us with some new training drills to work on with our 6-year old Border Collie. She has some issues with food aggression and training methods we have seen on YouTube and from other sources seemed too physical for us, and unsafe. Barbara gave us some really great tips that we are starting to use, and we are starting to see improvements already. She used to show her teeth and growl whenever she was eating and we approached, but just yesterday my husband fed her holding the bowl with his thumbs inside and she did great after just a few days of some training. We will continue to use the things Barbara taught us to ensure continued success. Thank you Barbara! We are so happy with our experience so far with Barbara. She has been great to work with. I can't stop telling people all about Brewster's "Doggy School", how well she is doing and the things I am learning to help me communicate with her. The hardest part is finding time to practice every day. Being in the veterinary field my interactions with animals are more focused on medicine than behavior. But behavior is an important part of health. 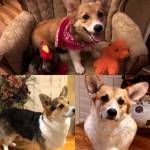 BarkBusters is giving us the tools to make that easier for me and my dog. I was sure I had that one dog that would be untrainable... I worried that no amount of training could ever help, but I scheduled a training session desperate. I think Barbara may be a magician because in our session my dog showed immediate and I mean IMMEDIATE improvement. He was so excited to please me.. We are on day 3 of training and you'd think I had a different dog. I'm so happy I have tears of gratitude spilling out as I write this. Thank you Barbara for your patience, guidance and knowledge. You've changed mine and Bentleys life and relationship for the better! You're our hero! Barbara Gazley is phenomenal. Our golden doodle has never been trained, hasn't socialized much and is very high strung. We weren't sure if Barbara could assist us with his constant behavioral problems such as biting everyone and everything, jumping up, pulling on the leash and bolting for the doors. Our golden doodle responded immediately to the training and I couldn't wait to apply the teaching techniques we learned once she left. We are bark buster believers and can't wait for the next session. I was told by other trainers that my dog was too old to change his behavior. So move, give him up or put him down. My Bark Buster trainer helped me understand why my dog was acting out. What to do to help him and adjust to the our new living situation. I have seen much improvement by staying calm but firm with what I want, then giving him the praise when he does it right. I hope to have many years with him. Thank you for listening and helping. After 2 hours of training, Barbara was able to teach my dog not to bite us, and to have better manners at home. Balto is no longer biting our guest or us and listens to us when we tell him NO- BAHHH ðŸ˜‰ I am looking forward to be working with Barbara for the rest of my dog's life! He is only 10 weeks old, so I am very honored to say that I have an amazing husky, thank you Barbara! Barbara was quick to pick up on each dogs personality as well as mine. She knew right off that I am a spoiler, but she trained me well so I have been able to work with my dogs. I am pleased to say they are coming along nicely as am I. I would recommend the company and Barbara to anyone in a heart beat. Amazingly easy to understand. Worked great the first time we tried it. Dogs respond well. Pleased with the training. I have this good dog named Zack but for reasons I can't explain, I never trained him and now at 8 yrs old I thought he was untrainable. I called Bark Busters and set an appointment for Zack b/c I was in a situation where I had to move into a rental and I knew my untrained Zack would not be able to come with me. Barbara came to the house and within minutes of training with simple commands I saw my Zack transform before my eyes and I knew he was going to be the dog I always thought he could be. Who ever said you can't teach an old dog new tricks is so very wrong! My hope has been restored. Thank you so much Barbara! My puppy (Madden) and I completed our 1st training with Barbara. We really enjoyed our time with her. She is very nice, knowledgeable, patient, easy to chat with, answered every question I had, and took the time to work with Madden and I. Madden still has a long way to go, but even with the 1st session, I saw improvement in her behavior. I like Bark Busters training techniques and Barbara provided me with homework and many tools to be successful. Madden and I look forward to our next session. Thank you! Very impressed with length of time and call received from trainer next day. Barbara was very patient and answered all questions clearly. We are very pleased with the turn out and advancement of the training program for Riley. Barbara is a very good and gentle teacher. Looking forward to our next class, Jan 3 at 1:30 pm. We recommend Barbara with Bark Busters. She came to our home to meet us and our 6 month old Golden Retriever. We felt this is most beneficial to see how your dog behaves in its hnatural ome environment with all the family members involved. She assessed what our needs are with our puppy and tailered the lessons around them. Her training tactics are fair, firm and loving and WORK! As long as owners are willing to "Bah!" and follow thru on their homework to keep practicing the lessons, it does work. In one lesson, our puppy learned how to walk on a leash, stopped jumping up, stayed when someone came to the door and sit/stayed on command--amazing! She also advised us how to train our puppy on other frustrating behaviors as well. For us, two lessons was satisfactory because we worked with our puppy regularly. I can see if you have a challenging dog and not willing to do the homework training, you may want to sign up for the longer lessons package. 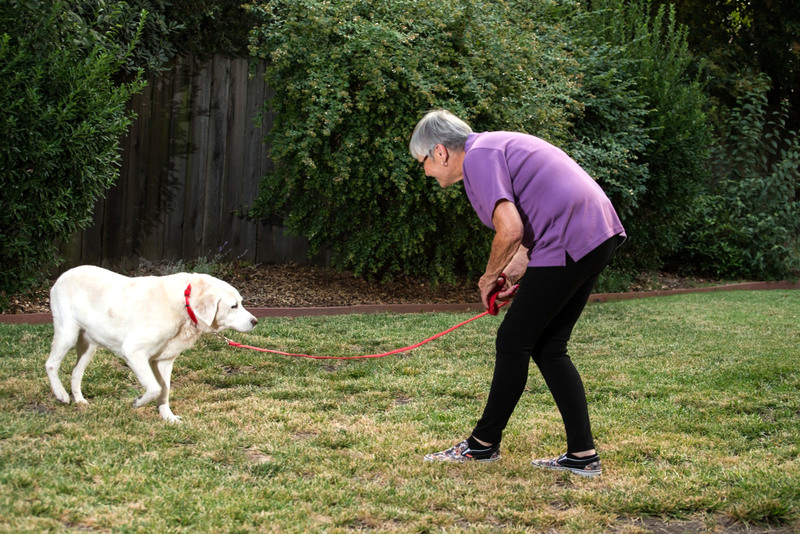 It comes down to what do you want your dog to learn, are you willing to practice and listen/follow Barbara's training tips. She's a nice lady, give her a call. We're glad we did! The presentation was very well laid out and clear, however it was a bit lengthy. I did notice results by the end of the lesson. He was responding to the growl and figured out that it wasn't okay to jump on people. I liked how no treats were used to train Leo. We learned how to make him realize we were the "leaders of the pack." The lesson went great. Barbara knew how to communicate with Leo and she showed us how to do the same. We saw improvement right away. The techniques Barbara taught us to use are very effective. I hope to gain more great advice next time, mainly on the "chewing everything in sight" problem. Barbara was so helpful and professional we are so grateful to have found her. considering we have used other trainers in the past and got zero results. immediately our strong willed high anxiety hound dog responded extremely well. everything we have done before never worked. Barbara came over for a few hours and I was amazed how my dog responded. we were at a point where my husband and I were going to stick her on anxiety meds but the last few weeks with this training has been going so well. excited to see what lies ahead for our dog. Barbara was so helpful and calls me right back when I call with a concern. I will recommend her to anybody looking for a dog trainer. she has alot of knowledge on dog behavior and is really helpful anytime I have a question. so thankful to have found her. I like the technique. To see it work so quickly was amazing. Barbara explains things well. It makes sense and I saw immediate results. Very happy with her techniques. Pleased and surprised. Even the next morning I woke up and couldn't remember the Bah word until I needed to use it and it worked. Definitely would recommend. I already have neighbors who are asking me about it. I have a couple of stubborn-headed dogs. My first day of training them I was amazed, yes I will have to have than 1 day to train them. The training I gave them was on my terms, not theirs, which is what was going on). Can't wait until the next session. Thank you very much. 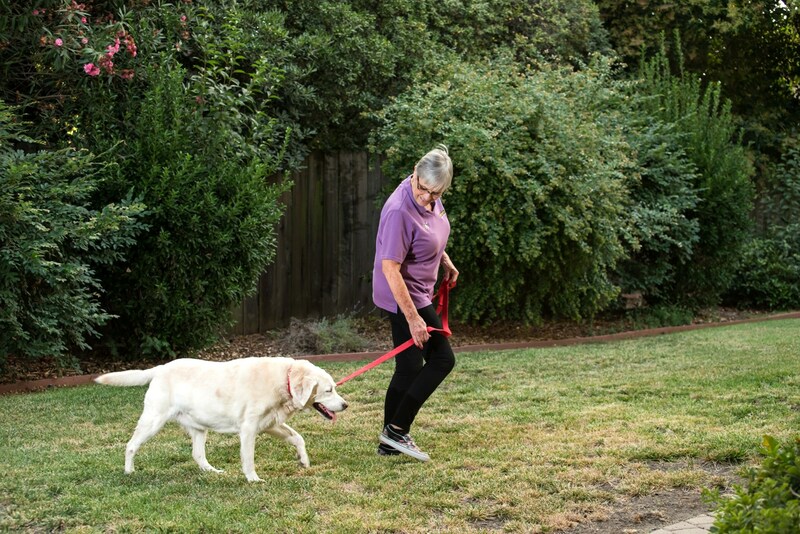 With the simple explanations Barbara provided, we have been able to re-negotiate our relationship with our dogs resulting in more desirable behavior on their part and less frustration on our part. My Veterinarian recommended Bark Busters to me for my Chocolate Labrador puppy. I was at my wits end with my growing 50 pound puppy's out-of-control behavior. After our first lesson with Barbara Gazley, I was given the tools to effectively control my puppy's behavior. It was money well spent to put me back in control of our household and not the pups!! I highly recommend Bark Busters to anyone that wants to train their pup without the use of violence or treats. Not only am I happier but my puppy is too. Barbara was wonderful at explaining all of the techniques. We needed tools for sibling rivalry in a major way and it has made a big difference. Thank you. It works, and quickly, as long as the owner is consistent with training. Amazing. Loved it. By the end of the first session, my untrainable pooch was actually listening. Barbara did not make us feel as failures or neglectful of educating Max. Supportive. Extremely easy process to learn and apply to all lessons. Not complicated. Results were much quicker than expected.